Keena Strickland joined Blue Ridge Realty in April of 2003 and oversees the daily operations of approximately 800,000 square feet of office and retail commercial space consisting of managed properties including Brookview Town Centre and Lakeside Centre, two of Blue Ridge Realty’s most prestigious commercial office properties. 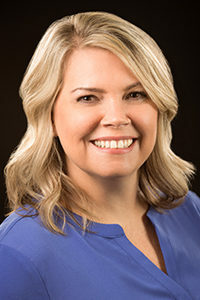 Keena holds a Bachelor of Science degree from East Tennessee State University majoring in Political Science with a minor in Environmental Health. Keena enjoys spending time with her husband, Trey and their four children attending sporting events and outdoor activities together.